Who is Hill Manufacturing Company, Inc.? | Hill Manufacturing Company, Inc.
Who is Hill Manufacturing Company, Inc.? Hill Manufacturing Company, Inc. was founded in 1930. Throughout the years, we have developed unique and advanced formulations of products to help people do their jobs more efficiently. 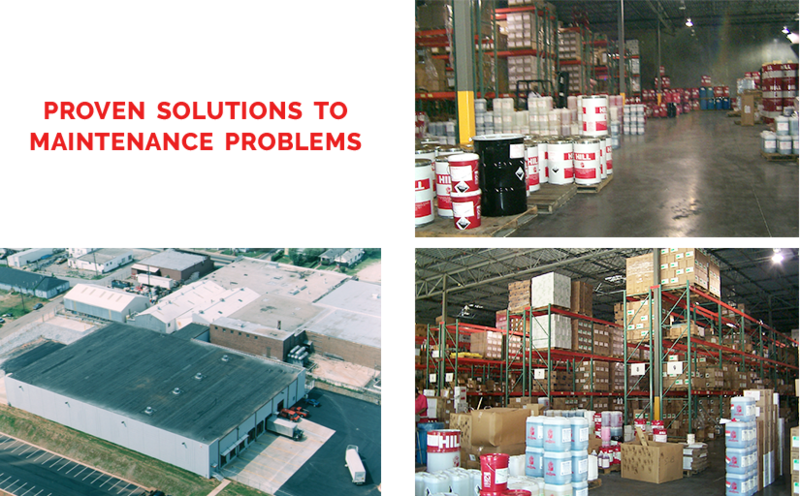 Our products help improve maintenance and production in all types of industrial and institutional facilities. We pride ourselves on providing excellent service and high-quality products. That is why we say, "HILL provides the proven solutions to maintenance problems." We manufacture over 2,000 maintenance formulations including aerosols, lubricants, industrial deodorants and cleaning products.